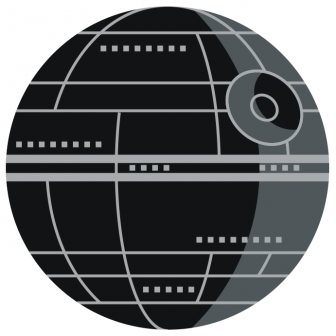 What is the Dark Side of DevOps? DevOps integrates development, QA, and operations teams to improve collaboration and productivity by automating all sorts of processes. Due to its various benefits, it has become a buzzword in the software world in recent years. However, implementing DevOps comes with its own set of challenges, and there may be situations where DevOps is simply not appropriate. DevOps Teams: Why Does Automation Matter? Before talking about the “dark side” (downsides and challenges) of DevOps let’s make sure we're on the same page regarding its basic definition and processes. DevOps is, in short, the extension of Agile into the realm of IT Operations. It is an approach, a set of values and principles, but also a collection of tools and processes the overall goal of which is to align Dev, QA, and Ops, and to enhance the quality of products developed and released in frequent iterations. Unlike the large code bases written and tested over weeks or months in a Waterfall environment, software written in small chucks by Agile development teams in a DevOps environment is integrated, tested, and deployed usually in a matter of hours. Software written in small chunks enables DevOps teams to increase the speed and frequency of deployment and to respond quicker to market needs. The automation of processes is key to this increased release velocity, and is therefore an integral part of the DevOps practice. Automated workflows support testing, the deployment of both infrastructure and code, and monitoring. 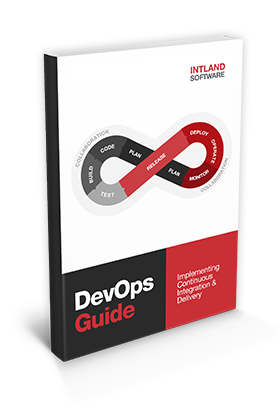 The benefits of DevOps are direct consequences of this alignment between Dev, QA, and Ops, and the frequent releases the method enables: faster delivery of stable software, improved collaboration, lower failure rates & faster recovery times. All this translates to reduced costs and enhanced customer satisfaction. With all that said, however, implementing DevOps is not an easy task. It introduces new challenges to your organization, and in some cases, it may not even be a good fit for your work environment or purposes. The most fundamental advice is that DevOps is a "sharp tool" that should only be used where it's needed. In other words, if you only have a few releases a year and velocity is not critical in your organization, DevOps may be simply too expensive and complicated to implement. While it promises to pay off in the long run, costs can be a great downside to DevOps: good DevOps experts are hard to come by, and costly to hire. Due to the deep cultural change associated with a transition to DevOps, there might be a lot of embedded knowledge accumulated over years of working "the other way" thrown away. Making the necessary changes to your (software) infrastructure also comes with costs. The challenges associated with implementing DevOps pertain to, in general, the categories of organization, processes, and technology. Organizational difficulties include challenges of a cultural shift to DevOps, but also changing roles in your team. Generally, Agile teams favor full-stack developers that understand each and every part of the development lifecycle. In a DevOps environment, roles are clearly defined, and there's more need for specialists (developers, QA engineers, operations admins, etc). Some experts suggest limited team sizes in a DevOps environment, claiming that the ideal team size is around 3-8 members. Process challenges include those related to automation: before automating processes, you'll need to map, standardize, and optimize your workflows. There are no silver-bullet solutions here, no set of standard DevOps processes is available. As part of the cultural transition, role-setting is another crucial step. It's also important to note that an imperfect implementation of DevOps can be worse than no DevOps at all, as the common pitfall of "half-baked" DevOps suggests. Again, the importance of the cultural switch cannot be overstated. In terms of technology, DevOps teams face another challenge. While DevOps is more than just a set of tools, it's obvious that establishing mature automation and feedback processes requires adeqate technology. Some of the tools used by DevOps teams are open-source (such as Jenkins or Kubernetes), but a DevOps infrastructure requires some investment to make sure your developers have all they need to work efficiently. To support the alignment and collaboration between Dev, QA, and Ops, a common development platform is necessary that helps manage the entire value stream. With a feature set spanning the entire development lifecycle and specific functionality to support Agile and DevOps, codeBeamer ALM is the go-to solution for implementing DevOps. This next-generation Application Lifecycle Management software tool provides a platform of collaboration for all your teams, while its BPM workflow engine greatly facilitates automation. To learn more, contact Intland Software with your questions (we'll be happy to help! ), or start your free trial of codeBeamer right away.